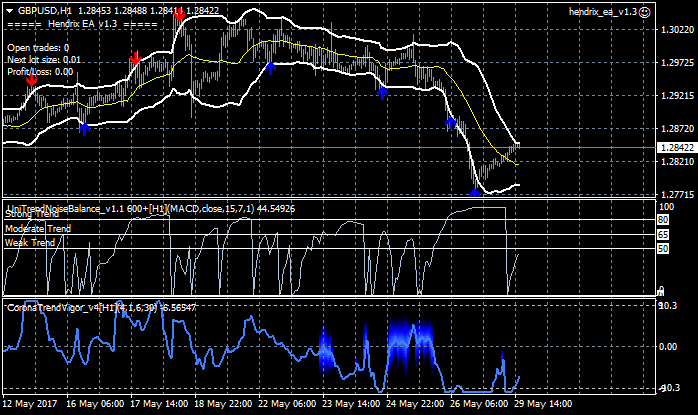 FractalChannelMD_v3 indicator was program for Premium Trading Forum. This is updated FractalChannelMD indicator which can build a Fractal Channel from 1st to 4th dimension. hendrix_ea_v1.3 EA was created for Premium Trading Forum. This is improved EA with a lot of various filters incl CoronaTrendVigor and UniTrendNoiseBalance. Show_AverageEntryPrice indicator was improved for Premium Trading Forum. This v1.1 version is having ability to show profit/loss as % of Balance and the Target Levels.